Create your native m-commerce app. Create your native Android&iOS m-commerce app in several steps. Provide your customers a seamless mobile shopping experience. Increase your sales with limitless push notifications. Easy to create: The new and improved App Wizard is a straightforward and user-friendly dashboard, making the design so much fun! With the fully guided screens, you can create your brand profile, select or customize colours and choose from homepage and product listing options. 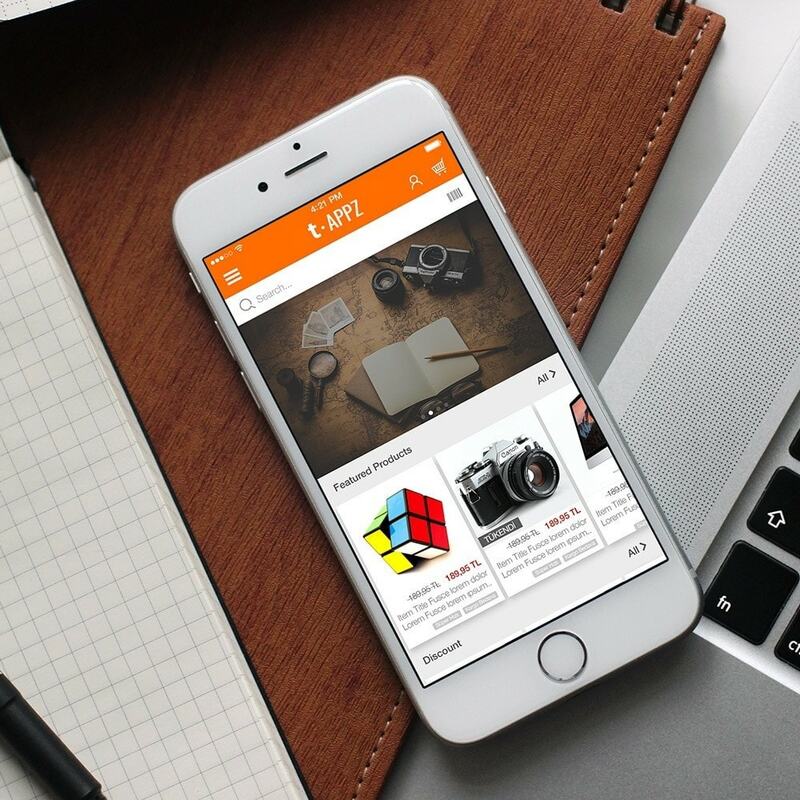 Designing a mobile application has never been this easy. 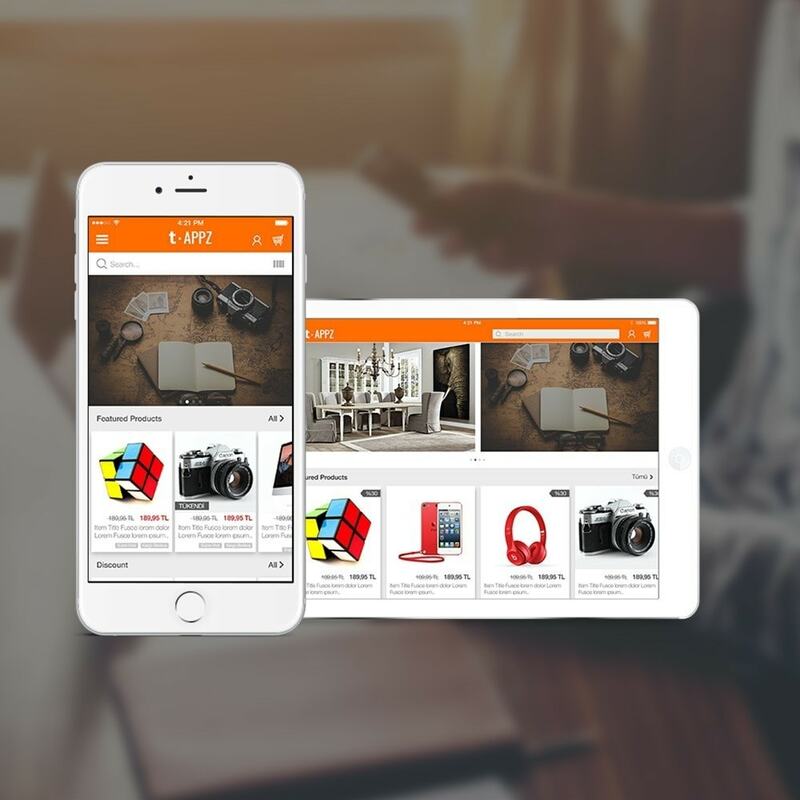 No coding: With t-appz mobile commerce platform you don't have to have technical knowledge to create your m-commerce app. All you have to do is to follow the instructions and create your app in several easy steps. 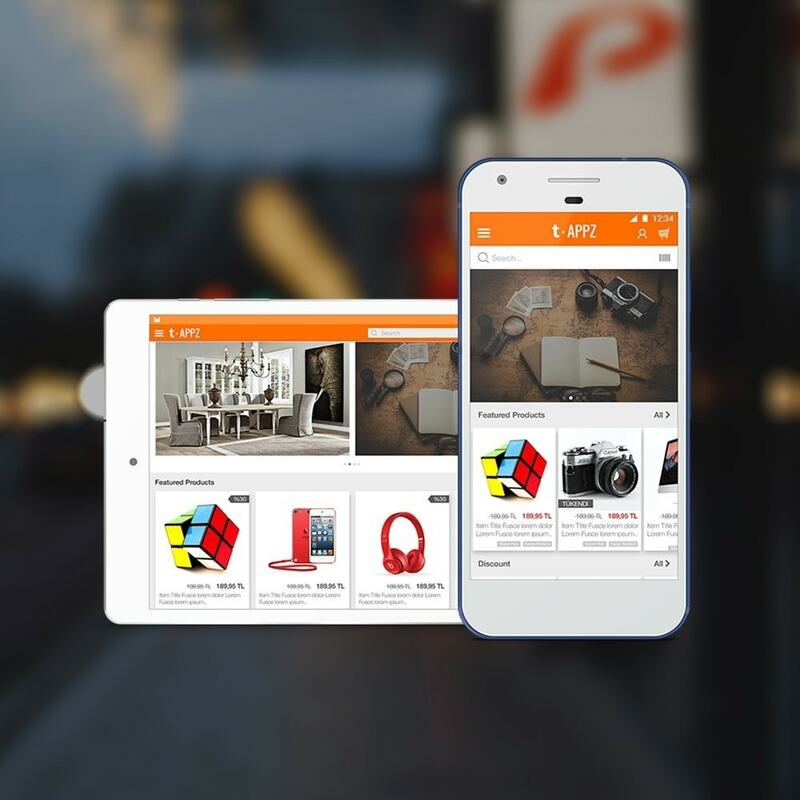 User Friendly Design: t-appz m-commerce apps offer seamless shopping experience for your customers. Test Automation: Your app is tested on 100+ iOS/Android devices running on almost all operating system versions. This is a premium service that is provided with t-appz at no cost and saves you from any problem that might arise from dysfunctional scenarios. The test monitoring system detects and solves any bugs your application may have within a large chain of devices and operating systems. Real Time Store Monitoring: After your application is in store, you can view all of your store accounts (Google Play and App Store) from a single platform, saving loads of time switching back and forth your accounts as you would, when using other platforms. It also lets you follow your daily download statistics and break down your values through a variety of filters. You can review your app ratings and comments, facilitating the improvement of your app for better customer engagement. Payment Options: Clients can offer customers a variety of payment methods including money transfer, credit card, PayPal, Apple Pay and cash on delivery.